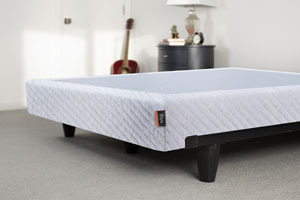 Purchasing the best mattress for lower back pain can really increase your quality of life. It’s hard to really understand how much you take advantage of a healthy back until it takes you ten seconds just to get out of a chair. That being said, pinpointing the source of your pain could really help your ability to treat it correctly. For example, there’s pain… and then there’s sciatic pain. If you’ve ever experienced shooting back pain that extends down your buttocks and along one leg, you know what we’re talking about here. We wouldn’t wish sciatic pain on our worst enemy (not even that bully with the big teeth from 7th grade). While we’re sad to say there isn’t an overnight fix for sciatic back pain, you also don’t have to suffer in silence. Or, maybe at all. Combined with care from your trusted doctor, there are things you can do at home to reduce your sciatic pain. Buying the best mattress for lower back pain, doing yoga in your living room, and eating well could all make a difference. The sciatic nerve is kind of a big deal. The biggest, in fact. This is the longest and widest nerve in your entire body. It starts on both sides of your lower back and runs all the way down to your feet. That’s why sciatic pain shows up not only in your back but also in the thighs. Your sciatic nerve ultimately connects your brain stem to your foot muscles, so when it lights up in pain, the lower half of your body can’t ignore it. Pregnancy. Being pregnant changes your body in a lot of ways – and most of them affect your lower back. Because your bambino is putting so much pressure on your pelvis and hips, being pregnant can lead to sciatic pain. Broken Bones. If you break your leg along the nerve (even if the nerve itself isn’t damaged) you may still notice referred pain. Pulled Muscles. Maybe you pulled your back muscle lifting weights, or perhaps you aren’t exactly sleeping on the best mattress for lower back pain and you tossed and turned the wrong way. Any time you aggravate a muscle near your sciatic nerve, it could lead to irritation of the nerve. Herniated Disc. This is the most common cause of Sciatica. Discs provide a cushion between your vertebrae (kind of like the cream in the center of an Oreo). When a disc gets out of place, it can push on the roots of the sciatic nerve. Spinal Stenosis. People over the age of 60 can experience a narrowing of their spinal canal due to natural wear and tear. The change often affects the roots of the sciatic nerve. Piriformis Trigger Points. If your piriformis muscle (located under your glutes) gets irritated or inflamed, it might press on the sciatic nerve. The irritated areas are sometimes called trigger points. What differentiates Sciatica from regular lower back pain? 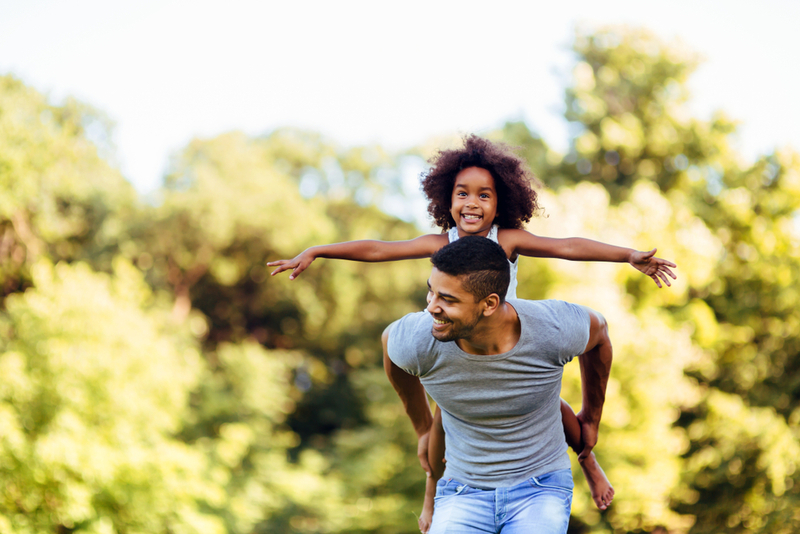 A whopping 80% of adults have lower back pain at some point in their lives – and it’s not all related to your sciatic nerve. Here are some signs you’re dealing with something more than a routine sore muscle from your morning spin class. Pain Down One Leg. Sciatica often manifests as pain down one side of your body. If your burning pain is much more noticeable on one leg, it’s a red flag. Pain While Sitting. A lot of general back pain can be relieved by sitting or laying down. When you’re dealing with sciatic pain, it could actually get worse when you sit. Weakness and Numbness. As we mentioned earlier, pain isn’t the only symptom of Sciatica. If you have sudden weakness or numbness in your leg, it could be related to your sciatic nerve. If you have any of the above conditions or symptoms, it could be time to look into the best mattress for lower back pain or implement some new stretches into your morning routine. The good news is that the pain is not likely to be permanent. Especially if you start treating it early. Sciatica sounds bleak, but we’re about to hit you with some good news. About 80-90% of all people with sciatic nerve pain will find relief without needing surgery. It’s the small victories, right? Here are some things to try (with permission from your doctor, of course). Some stretches are great at working out the muscles that surround your sciatic nerve. You may get some immediate pain relief by targeting areas like your glutes and lower back. One easy stretch is to lay on your back and pull one knee at a time up to your chest, then hold for 30 seconds. For a glute-targeting stretch, lay on your back and bend your left leg. Put your right ankle over your left thigh. Pull your left thigh toward your chest, leaving your behind on the ground. Then repeat the stretch with your right leg bent. You’re in pain. The last thing you want to do is exercise, right? Yet, this counter-intuitive advice actually works. One study found that people with Sciatica who practiced yoga for four months saw their pain reduced by an average of 64%. Other low-impact exercises that stretch and strengthen your muscles include walking, Pilates, and water aerobics. Reducing the amount of inflammation in your body may also help your sciatic woes. Over the counter drugs like Ibuprofen reduce inflammation, but you probably don’t want to throw those back like tic-tacs. Eating right is a better way to naturally get rid of unwanted inflammation. Over time, a diet filled with fruits and vegetables, whole grains, and lots of water could make a difference. Your purse is so heavy it might as well be a toddler. A toddler you lug around 10 times a day and who never grows up. If you’re always carrying your bag on one side, it’s time to switch it up. Alternate the shoulder or arm you use to carry your purse or briefcase. Even better, spread the weight evenly across your back by using a backpack (they’re available in stylish leather these days!). You’ve heard of acupuncture, now it’s time to get familiar with acupressure. With the help of a tennis ball and some time, you can target pressure points to get relief. Acupressure uses physical pressure instead of needles. 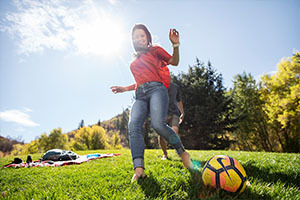 Laying on your back with a tennis ball strategically beneath your buttocks, or running a tennis ball firmly along areas like the top of your calf or metatarsal bones could help. We (should) spend a lot of our life sleeping. If you’re going to rise and grind, you need to sleep and dream. Sleeping on the best mattress for low back pain will relieve pressure points or the areas of your body that are more sensitive than others. Sleeping on the wrong mattress could trigger significant pain; misaligned hips, tossing and turning, and unsupported knees could all aggravate your Sciatica. If you have a chronic nerve issue, you may also want to seek out a good mattress for fibromyalgia. 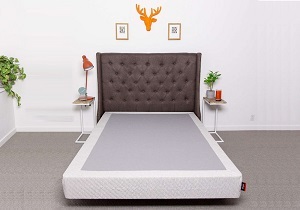 Bottom line: buying the best mattress for lower back pain could lead to a life–changing result. When you’re on a mattress that lets you sink over time, your spine is not super supported. You want your mattress to be like a BFF: always holding you up. 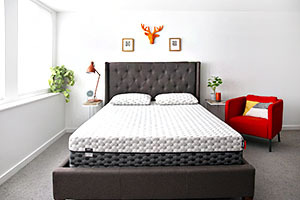 Whether you need the best mattress for side sleepers with lower back pain or the best option for back sleepers, memory foam is a top-notch choice. 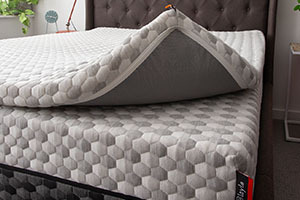 A Layla Mattress has multiple layers of memory foam, including convoluted foam that enables air circulation. A Layla Mattress’s copper-infused foam not only draws heat away from your body but also conforms to your unique curves. No matter what position you need to sleep in for Sciatica relief, a bed made of quality memory foam can handle it. Your pressure points will be soothed, and you can wake up with more energy – and maybe pain-free for the first time in a long time. When you wake up ready to tackle the day, you’re more likely to keep up with your new Sciatica exercise and stretching routines. Plus, everything else that’s on your calendar. 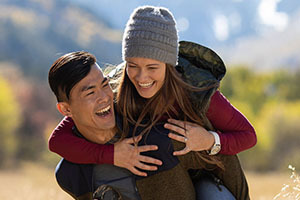 Whether you’re in search of the best firm mattress for back pain or a plush mattress with conforming support – we have you covered. 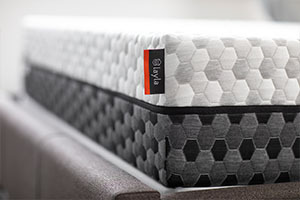 Layla Mattresses are the best mattress for lower back pain, hands down. You can flip the mattress between the soft and firm sides until you decide which one is better for your sciatic pain or general back pain. Then, all that’s left to do is sleep well and focus on your recovery.